The information presented on this page was originally released on December 30, 2004. It may not be outdated, but please search our site for more current information. If you plan to quote or reference this information in a publication, please check with the Extension specialist or author before proceeding. At the Midsouth Greenhouse Growers Conference, a speaker told of a recent rose introduction that was surprising everyone with its non-stop blooming and apparent tolerance, if not resistance, to the cursed black spot. What was this knock-out rose? It was Knock Out, a 2000 All-America Rose Selections winner. If you haven't tried it, you may want to put it high on your list. Knock Out is a shrub rose that is compact and bushy. The plants reach about 3 feet tall and 3 feet wide. This rose is being touted as very disease resistant. One of its parents is Carefree Beauty, which also has shown environmental toughness. The bush produces clusters of cherry-red blossoms 3 to 3 _ inches in diameter throughout the season. The blossoms have a light tea rose fragrance. The deep glossy green foliage with blue and maroon highlights and maroon undersides turns deep purple in the fall. 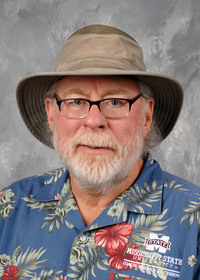 My friend, Dr. Steve George with Texas A & M University, has had it in extensive trials and says, "It is also resistant to powdery mildew and aphids. It is cold-hardy throughout the state and will grow in a wide range of soils (even highly alkaline clays) and is very heat- and drought-tolerant once established." According to George, Knock Out is extremely easy to grow, even for those brand-new to gardening, and is so pest-tolerant that pesticides almost never will need to be applied. In the Lone Star state it has been declared a Texas SuperStar winner. Roses need five to six hours of direct sun each day. Morning sun is essential, but afternoon shade is tolerated. Good air movement helps the dew and rain dry quickly, discouraging disease. Before planting your roses, prepare the beds by incorporating 3 to 4 inches of organic matter and tilling to a depth of 8 to 10 inches. Plant on raised beds to maximize good drainage. Avoid planting under eaves or gutters where bushes can be damaged by falling water. Plant your roses where they are easy for you to watch and enjoy. A convenient location also will help you notice any insect or disease problems. Water with soaker-hoses or drip irrigation instead of overhead sprinklers to greatly enhance your success. 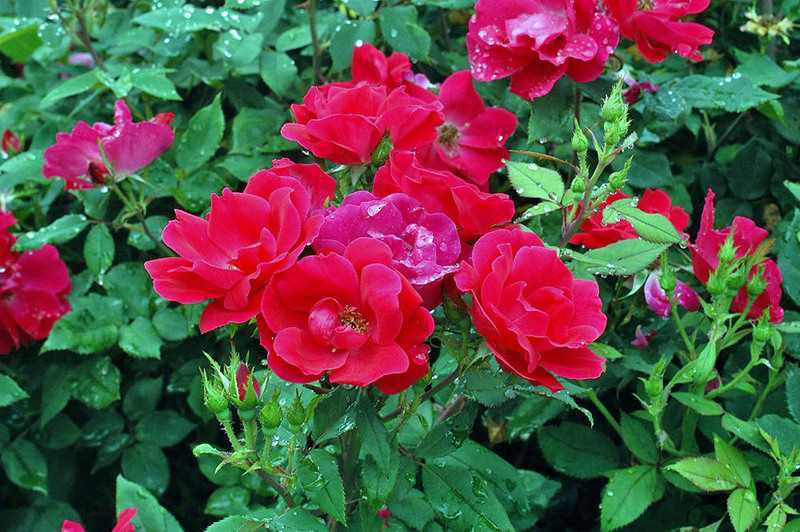 Feed roses every four to six weeks with light applications of a slow-release fertilizer. My favorite is a 12-6-6 with minor nutrients; some prefer fertilizers with a 1-2-1 ratio. Knock Out is so unfailing that it is starting to be used in commercial settings. They have been a hit with shoppers at North Park Mall in Jackson. While filming a Southern Gardening TV segment at a home in early December, we noticed they were still in full bloom. Here, they had typical bushes, as well as tree-form ones lining the front sidewalk. The fluorescent, cherry-red blooms begin in spring and continue to provide color until the first frost. During the winter months, orange-red rose hips provide added winter interest. It grows well in planting zones 4 through 9 and will reach 5 feet high by 5 feet wide when mature. Catalogues are arriving, enticing you to go with hybrid-teas, floribundas, antiques and English roses, but I can assure you that Knock Out has become the rose to which others are compared.